DIN Standard PN40 Ceramic Ball Valve,high pressure ceramic ball valve. The all parts of Full-lining Hard-Sealing Ceramic Ball Valve in contacting other medium are made of structure ceramic. This structure ceramic has a super performance in wear resistance, corrosion resistance, and well in heat insulation. Our Ceramic Ball Valve is processed by the precision grinding technology with the advanced equipment and product lines. The structure of ball valve body is so fine and concise. The flow channel of the ball valve is so smooth that the flowing medium has least resistance. Full-lining Hard-sealing Ceramic Ball Valve is made up of six components by the scientific and rational design way. The valve ball and the valve seat ring are processed by the face- contact tooling. With this processed way, the ball can inosculate fully with intrados and out-radian of the valve seating ring. With the advantages of high precision roundness , good surface, light- torsion and least resistance of the valve ball, the ball valve can be meet the require of zero-leaking seal. 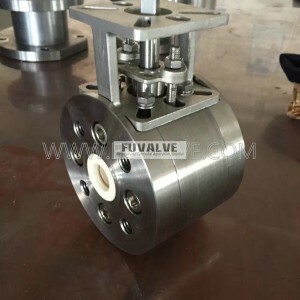 Due to its good antifriction property, our valve has an absolutely advantage when fit in transport high hardness granule medium, and soft with erosive medium. Applicable medium: water supply, petrochemical disposal, boiler heat, limewater and grain-seawater transport and flue gases desulfurize and ash discharge. The ball valve can be made of different material for different use. The ball valve is suit for different temperature and different use-circumstance.